For many years the US CIA, along with other black ops (Operation AJAX) have been meddling in Iranian Regime change, overthrow, and control. It started in 1953 and continued up until now. During the Obama administration, the people of Iran tried to rise up and protest, but he refused to support them. Makes sense now that we know about the connection between Iran/NK and the Uranium 1 deal. President Trump knows about all of this, and supporting the Iranian people at this time will lead to the ousting of the Clowns In America from that area. This may be the first step to defeating North Korea. (Washington, DC) – Judicial Watch President Tom Fitton made the following statement regarding today’s pending 3:00 pm (Eastern) release by the U.S. Department of State of Huma Abedin’s work-related documents from the Federal Bureau of Investigation (FBI) that were found on her estranged husband Anthony Weiner’s personal laptop. #Qanon: Julian Assange WikiLeak Dump, 24 Suspects, and Weiner Insurance File? So, we have RIGHT ABOVE the PROFILE picture for the Twitter account of the U.S. Navy showing the George Washington crossing the Delaware picture too..hmmmm..yeah..this was just by accident and then the Navy typed in "Julian Assange" also by accident. Then, they deleted the tweet, screenshot the tweet, uploaded the tweet to a new tweet to tell us that they accidentally tweeted it...and that screenshot tweet just happened to have the GW picture. Give me a break lol! This happened yesterday, on Christmas Day. This on October 31st and then again December 24th: Notice anything? Look at the picture and then scroll up to see what the Department of Defense and the US NAVY posted to their Twitter accounts. Don't believe it yet? Keep going. U.S. Dept of Defense Confirms QAnon and Marines Fighting Unicorns? Why is this important or why does this matter? Who is Qanon? And What is "The Calm Before the Storm"? The Hill - Department of Justice officials are asking FBI investigators at Attorney General Jeff Session's request to describe evidence uncovered in an investigation into the sale of a uranium mining company, NBC Newsreported early Thursday. A senior Justice Department official told the news outlet that the questions stem from an assistant attorney general's pledge to analyze whether a special counsel is warranted. 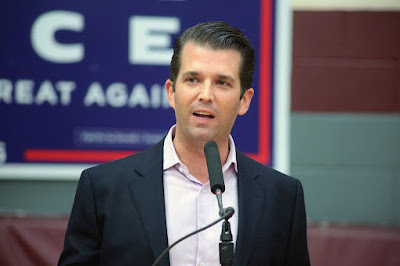 The inquiry relates to the 2010 sale of Uranium One, a Canada-based firm with holdings in the U.S., to Rosatom, a Russian state-owned nuclear energy agency. President Trump and some Republicans have used the deal in an attempt to discredit Hillary Clinton, because the sale occurred when the former Democratic presidential nominee was head of the State Department. Clinton has denied that she was part of the deal’s negotiations. “My father talked about a rigged system throughout the campaign… And you’re seeing it”. Former FBI Assistant Director James Kallstrom, during an appearance on Fox Business Varney & Co., said that there are "Patriots" inside the FBI that are fed up with the "shenanigans" and the "goings on" of the recent developments as of late regarding the FBI and DOJ politicization of their departments and leaders. "A lot of "patriots" have just had it up to here and they're going to step forward and tell people what the shenanigans that have been. How they shut down the Clinton Foundation Investigation. How other things were done that are so anti what the FBI, the United States, and this country is about." Kallstrom also says that all of this is taking a toll on the hardworking men and women inside the FBI. He said it is very "depressing" for them because the regular employees inside the FBI go to work every day for the good of the country and this situation has really lowered the moral. Eric Holder, Former Attorney General under Obama from 2009-2015 is running scared! You can tell from his tweets. He should be freaking out about now, because when this is all said and done, he too will be a part of the swamp that drains. UH, no, Traitor. You Do NOT speak for the vast majority of American People. This one triggered me, sorry, I couldn't help it so I had to reply. Not that he will read it or care if he did, but I figured others might... You can see my reply under the tweet. This just reminded me of Obama's (with Holder's involvement) Red Line when he wanted to bomb Syria for "Assad gassing his own people". I was reminded of just how far and deep this rabbit hole goes. In my video below, I go over this and give my two cents worth about some of that scandal, and Benghazi, which then led me to discuss the Investigation by the Inspector General into the FBI corruption, collusion, and sedition. 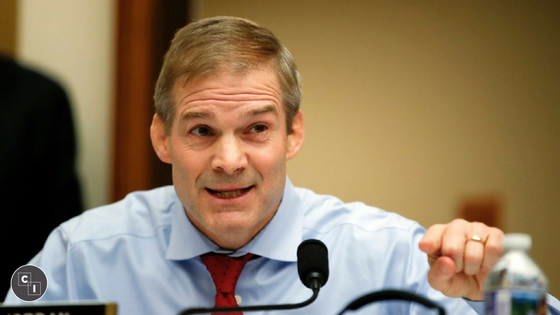 During an appearance yesterday on Fox News with Jeanine Pirro, House Judiciary Committee Rep. Jim Jordan (R-OH) said that they will subpoena FBI Director Andrew McCabe, FBI Co-Intel agent Peter Strzok, FBI attorney Lisa Page, former associate Deputy AG Bruce Ohr and his wife Nellie, who worked for Fusion GPS, the firm that compiled opposition research on Trump in 2016. "A Republican on the House judiciary committee said Saturday he's gotten a commitment from committee chairman Bob Goodlatte (R-Va.) to subpoena top officials at the FBI and Justice Department in their ongoing inquiry into claims of bias against President Donald Trump. Republicans have zeroed in on deputy FBI director Andrew McCabe, top counterintelligence agent Peter Strzok, FBI attorney Lisa Page, former associate deputy attorney general Bruce Ohr and his wife Nellie, who reportedly worked for Fusion GPS, the firm that compiled opposition research on Trump in 2016. 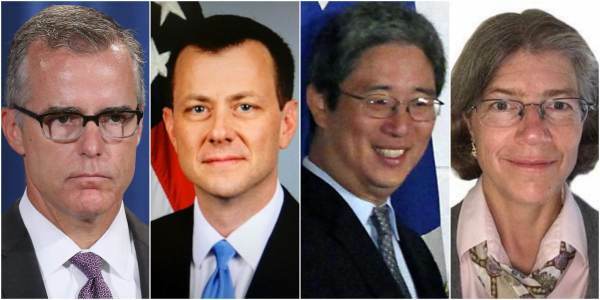 Did the FBI Pay Christopher Steel, And...? Jim Jordan (R) is the U.S. Representative for Ohio's 4th congressional district, serving since 2007. During a congressional hearing while questioning Rod Rosenstein, Deputy AG of the DOJ, on December 13th, 2017 he asked the following: "Did the FBi pay Christopher Steele? and Was the Dossier the basis for securing warrants at the FISA court to spy on Americans associated with the Trump Campaign?" These 2 questions are critical. This is getting out of hand and the AMERICAN CITIZENS demand the answers to these questions. Here is the report from CNN Click above image to see the video.